RoadFish.com men's lifestyle and finance magazine is excited for "The Hunger Games" to open in theaters and commends Lions Gate for their chart-topping pre-sale. RoadFish.com men’s lifestyle and finance magazine shared its high hopes for a stellar film in “The Hunger Games” as the film reaches a record-breaking 2,000 show times sold in the pre-sale period alone. 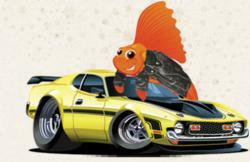 RoadFish.com stated that it is extremely excited for the film to hit theaters this weekend. According to an article written by Crystal Bell of the Huffington Post, Fandango announced on Tuesday that “The Hunger Games” has already accounted for 92% of its daily sales with a chart-topping pre-sale segment. Fandango reported that they had sold out 2,000 show times already and has gone above and beyond the pre-sale numbers from the first “Twilight” film. The Huffington Post adds that experts and studio insiders expect “The Hunger Games” to draw anywhere from $85-140 million in the first weekend. A Washington Post article written by Michael White predicts that “The Hunger Games” will change the way independent filmmaker company Lionsgate is seen within the movie industry. The Post reports that up until now, the biggest movie for Lionsgate was “Fahrenheit 9/11.” The article reveals that Lionsgate studios has struggled to stay profitable as it’s gone $1.1 billion into debt and has wrestled with loss in the past four fiscal years. The film, taken from the original novel written by Suzanne Collins, takes place in the future and is set in the ruins of North America known as Panem. The story centers around the heroine, Katniss Everdeen, who volunteers to take her little sister’s place as one of 24 teens randomly selected from around the country to fight in a televised battle to the death. “The Hunger Games” opens in theaters on Friday, March 23. RoadFish.com is an online men's lifestyle and finance magazine targeted toward men in their 30’s and 40’s that have already attained a moderate level of success in life, and are striving toward more. It goes over current events of interest to this group, such things as exciting adventures, making money, consumer interests, finance, and dating tips, as well as ways to make more and save more money. It is a publication owned by Purpose Inc.